We’ll start off the hike from Xizhazi village, following a hillside trail to the Great Wall. It takes about one hour to reach the north side of "Beijing Knot". From there we will follow the wall trekking northwest. In the beginning the walking condition is pretty good and the Great Wall is well-preserved. 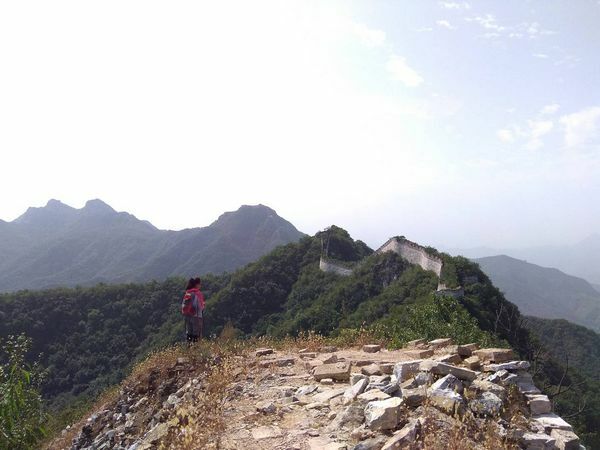 Local people call this section of the Great Wall "Big West". This section of the Wall was mainly built by huge white carved rocks. On the "Big West" Great Wall, you will have a broad view. After we finish the walking on the Big West part, the Wall is more and more in ruins. Sometimes we need to leave the Wall and skirt around it. We will totally walk on the wall for about 2 hours, passing by many watch towers. Built stably and elegantly, different towers have different structures and appearances. Some towers are ruined and some others are still well-preserved. We will have enough time to stop to look around or take pictures. And then we will come down the wall, walking along a hill trail which will take us back to the Xizhazi village. We will have a late yet big lunch at a local farmer’s guest house after the hike.